Join us for the kickoff event of the Riverwalk design process! Show your love for the project, meet the designers, mingle with other community champions and learn more about how you can get involved in the upcoming process that will transform the most amazing place we don't visit into a new Oregon landmark. 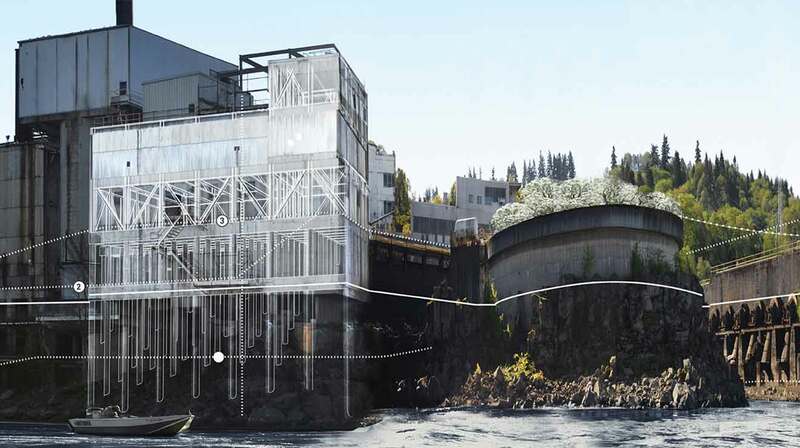 Hosted by journalist and University of Oregon John Yeon Center director, Randy Gragg, the Willamette Falls Legacy Project partners invite you to an evening with the designers to see their past work and hear how they will approach inventing a new experience of Willamette Falls. Mayer-Reed, brings more than 30 years of experience designing parks, waterfronts, plazas, streetscapes, recovered brownfield sites, stormwater infrastructure, natural areas and town center revitalization projects. Carol’s background includes designing a number of segments of the Willamette Greenway Trail, Vera Katz Eastbank Esplanade as well as other public trails that link people with rivers and natural spaces. As director of Landscape Architecture for Oslo/New York-based Snøhetta, Delk has lead a wide array of projects: downtown plazas, conceptual plans for hundreds of acres of parks, streetscape revitalizations, and campus plazas and green-spaces. Currently, Michelle is leading the design of the New Calgary Public Library Plaza and Gardens and the Temple Library Landscape. A Principal at DIALOG, Alan is recognized as a leading thinker on urban issues. Alan’s experience spans all project types from single-family homes to large-scale urban redevelopments in Vancouver, Edmonton, Los Angeles, and Memphis. As a past chair of the Vancouver Planning Commission, Alan is particularly well-versed in working with governments to shape private development. The University of Oregon’s John Yeon Center is devoted to inspiring rigorous thinking and public dialogue about architecture, urban design, and landscape. It is the overseer of the Watzek House, The Shire, and the Cottrell House, three historic properties designed by the visionary designer and conservationist, John Yeon.